Detective Kelly: Come on Doc. Q: How closely does the movie follow the TV series? Q: Why did they handcuff Kimble at the end of the movie? Q: What happens to Kimble after the end of the film? Arnold and Sly are great action heroes. Their characters are always larger than life. Rambo and Rocky are household names and The Terminator and films like Commando are great partly because of Arnold's physical presence. But as good as they are, I don't think they can hold a candle to Harrison Ford. Sure he is in great shape, but have you ever seen an actor take average guys and make them so real that you want to know them? 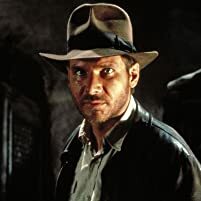 Take your pick, Han Solo, Indy and even his character in Six Days and Seven Nights was an adventurer. Add Richard Kimble to that list. 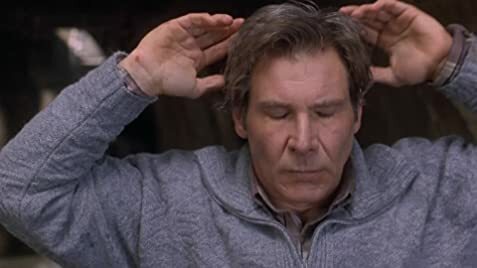 As Kimble, Ford is perfect. He is the wronged man that has to avenge his wife's death and clear his name at the same time. He is so great in this film and I'm sure that's why so many people went to see this film at first. But I think what kept them coming back was Tommy Lee Jones. We'll get to him in a minute. Andrew Davis proved here that he is one of the best action directors in the business today. Along with Under Siege, he showed us that he is an efficient artist that knows how to keep the action flowing. He never seems to let up with his relentless pursuit of the perfect scene. 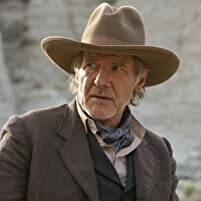 But since the film did so well and everyone pretty much knows what it is about, let's talk about the true strength of the film, and that would be Tommy Lee Jones.
" I don't bargain." " Well that's odd!" His portrayal of Samuel Girard is an exercise in how to make the audience relate and understand a character. He starts off as a manic perfectionist. He is obsessed with capturing Kimble and that is all that matters. But as the film proceeds, you can sense his unease, his wonder and his ethos. You can tell by a simple expression that he is beginning to solve a crime and not just chase a criminal. And the turning point to me was his simple scene where he says " You know Devlin and McGregor made 4 and one half billion dollars last year? That company's a monster. " It is all in his face. 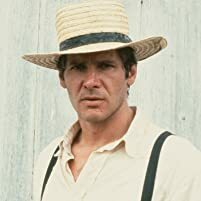 He knows that Ford is innocent but he still has a job to do. It is Jones that makes this film so much fun. And I didn't think that there would be a more worthy recipient of best supporting actor in '93 than Kilmer in Tombstone, but Jones' work here was well deserving of his Oscar. 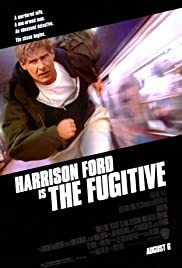 The Fugitive belongs on every top 100 list and if the AFI wasn't so enthralled with older movies, they would see that films like this are more worthy than some of the mediocrity that graces their findings. This is an incredible film. 130 of 154 people found this review helpful. Was this review helpful to you?